Google has partnered with a small number of financial institutions in order to ease the process of signing up for Android Pay. 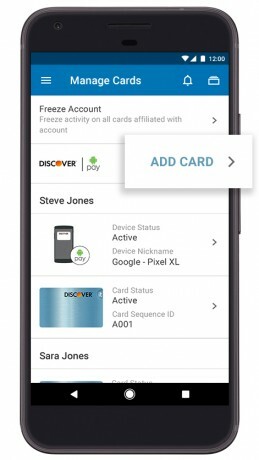 Several banks, including Bank of America, Bank of New Zealand, Discover, mBank, and USAA, now let customers add debit/credit cards directly to Android Pay from within the mobile banking app. Typically, cards are managed in the Android Pay app itself. After completing the setup process, customers of these banks will be able to use the tap-to-pay functionality of Android Pay at millions of stores and on millions of web sites. Some of the apps support Android Pay even if the Android Pay app itself is not installed on the phone. People can also manage bank card choices, such as setting defaults, as well as manage card security by deactivating cards from their phone. Android Pay is free to download from the Google Play Store. Google's banking partners plan to update their mobile apps with support for Android Pay in the weeks ahead.